Okay, I've got quite a bit of catching up to do. Today is January 26th. We got a new scanner, so I'll fill in the past couple of weeks with some of my favorite photos from the past. On January 9th, I was in Augusta, Georgia. My hotel was less than a mile from the Augusta National Golf Course, but I never really saw it, because of the 15-20 foot hedges surrounding the place. 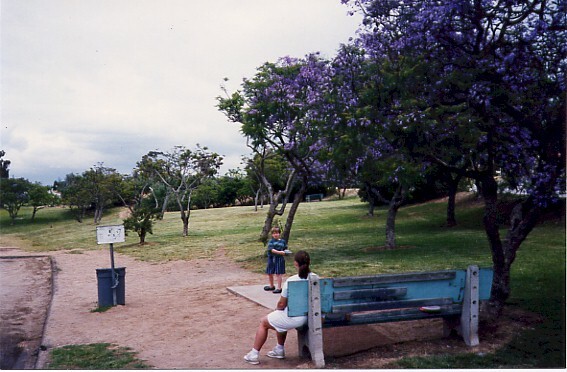 So, instead of including a photograph of that lovely golf course, here's a photo of my favorite course, Morley Field in San Diego.